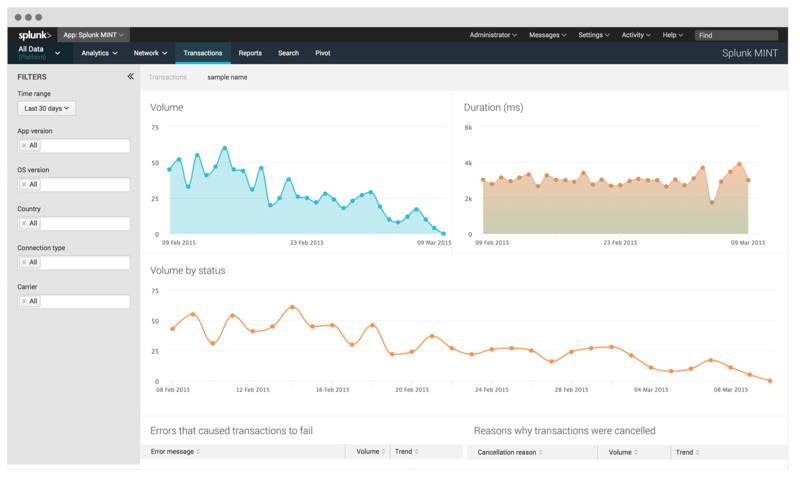 How does Splunk MINT work? 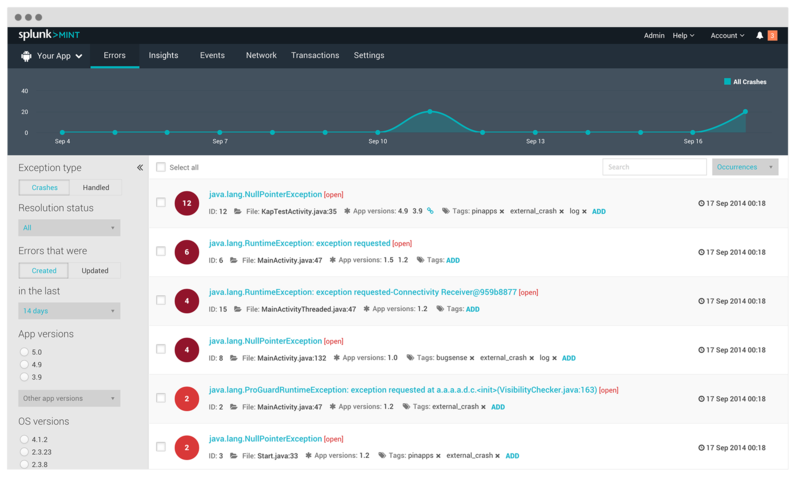 Add the Splunk MINT SDK to your app with one line of code. 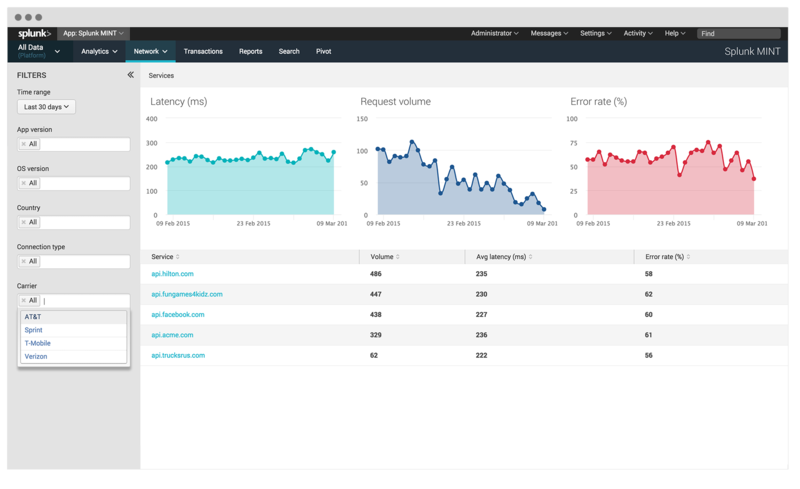 The SDK will collect crash, performance and usage data for your app and send it to our Cloud servers. 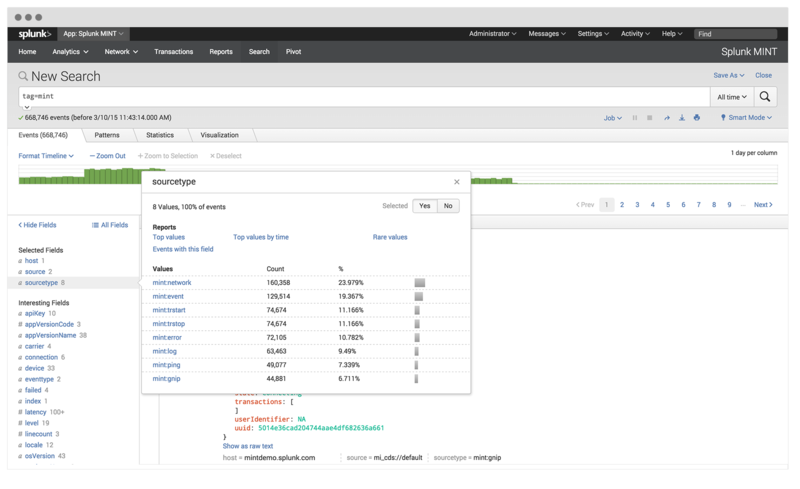 Use the Splunk MINT app on your Splunk® Enterprise instance to pull and analyze your mobile data. 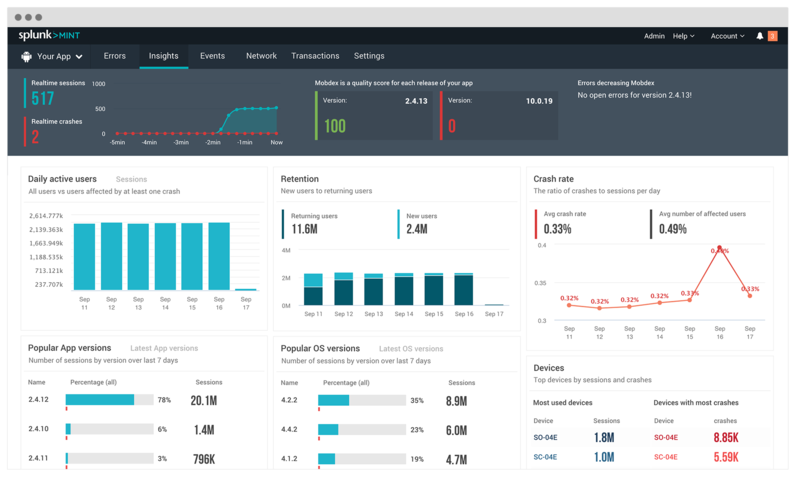 Get real-time insights into your apps. Now!